At L. Gregory Loomar, PA, we help our clients succeed and attain their goals through hard work with a focus on individual needs. We have the legal knowledge and business expertise that can only come from years of practical hands-on experience in business transactions and commercial litigation matters. If you are buying or selling a business, have a business problem or commercial dispute, we can assist you. Contact us for a free phone consultation with Plantation, Florida, business law attorney, L. Gregory Loomar. 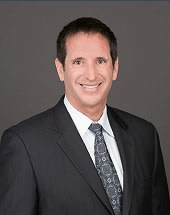 Since 1992, L. Gregory Loomar, PA, has offered a full range of legal services to people and businesses throughout Florida and the United States. We specialize in due diligence investigations, business evaluations and representing buyers or sellers in business and commercial transactions. From commercial litigation to alternative dispute resolution and mediation of business disputes, we can offer you and your business experienced representation in a reasonable and cost effective manner. Our clients trust us to manage all of their business, commercial and corporate affairs and to handle their legal matters because we care about their success. We continually show how we care by providing dedicated service. We know that you have a choice in your selection of an attorney. Here is what makes us a firm you can trust to provide you and your business with the skilled and effective representation you deserve. We know the law and we understand business. Our insight into the law, combined with our business experience allows us to not only understand your vision, but also to promote it in a manner that protects you and your business from potential legal problems. We are responsive to your needs. We offer all of our clients' personal attention from a dedicated attorney. We are always available, easy to reach and keep you informed about your legal matters and the available options. We care about your success. We do not want you to choose us just for your current legal issue, we want to assist you with all of your legal issues and for all of your business needs. That is why we will do everything we can to help you and your business succeed and achieve your goals.